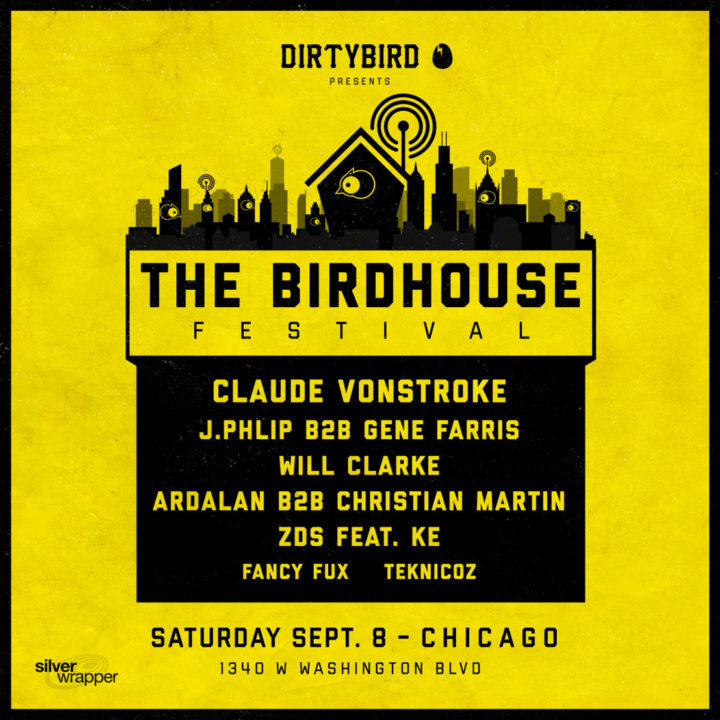 Claude VonStroke’s ‘Dirtybird’ brand has revealed the lineup for The Birdhouse Festival, making its debut on Sat., Sept. 8 in Chicago, Ill. Performing artists include Claude VonStroke himself, as well as J. Phlip B2B Gene Farris, Will Clarke, Ardalan B2B Christian Martin, Zombie Disco Squad feat. KE, Fancy Fux, and Teknicoz. The Birdhouse Festival tickets are on sale now, priced at $50. The Birdhouse Festival is a complete reimagination of the classic local street fair experience, pairing music with games, prizes, and classic carnival foods. The event is produced in partnership with Silver Wrapper, producers of the iconic North Coast Festival, Suwannee Hulaween, and countless Chicago events. The Birdhouse Festival precedes the brand’s signature Dirtybird West Coast Campout, held in California on Oct. 5-7.